So I'm not a big donut person. I know its sinful, but I just can't wrap my head around the sweetness and heavy dough. However, there is this new concoction called the cronut that has become the new "it" thing at bakeries all over the country. A cross between a donut and a croissant, the Fusion Tea Bar serves their own version. 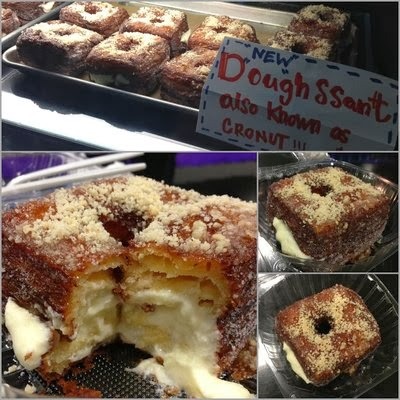 The "doughssant" is filled with a sweet cream filling with croissant dough and all the sugary goodness that is a donut. Whether you are eating it for breakfast, or a mid day sugar rush, this is definitely worth a try. Just try and cut yourself off after one; I don't want to be recommending diabetes. Fried chicken and waffles. No I am not talking about Roscoe's; I'm talking about the new fine dining restaurant (I kid) called Bruxie. It is the latest in brunch spots and is popping up all over the place. They are opening up their newest location in Costa Mesa, but you can also go to Irvine and Old Town Orange. 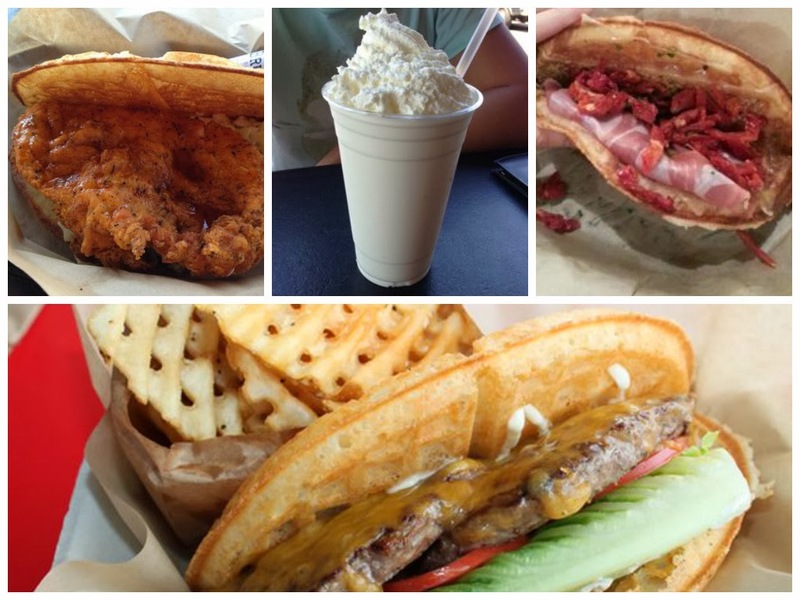 They have your standard fried chicken and waffles and other savory sandwiches, but they also have an assortment of sweet waffles, belgium fries, and my personal favorite, Frozen Custard. Trust me, its better than a milk shake. It is a Midwest Treat that California is lucky to finally discover. Bruxie is giving the OC a new take on traditional sandwiches and breakfast foods. It's always packed though, so be ready to stand in line. November in OC means 85 degree weather right? Unfortunately that is the case right now. (I never thought I would miss the foggy nights of SF.) However, warm weather means ice cream is still an appropriate food group. After a long day at work, or for some fun on a tame Saturday night, stop in at Creamistry. The thing with this place is that they make your ice cream right in front of you. No seriously, right in front of you. Their "thing" is that they use liquid nitrogen to freeze your chosen flavors into ice cream specifically for you. You pick your base - they even have dairy free - then your flavors, and then your toppings. Oh and by the way, they have cookie butter. I am not kidding. I will warn you, the "personalized" touches do take a while so on busy nights expect a 30 minute wait. Good luck not craving this place. P.S. This post puts me at 1000 viewers. Thanks guys for all of your support! Hope you are trying out some of these amazing places, and be sure to tell me any of your favorite eateries or events in the OC!